Hey, my name is Mitch. 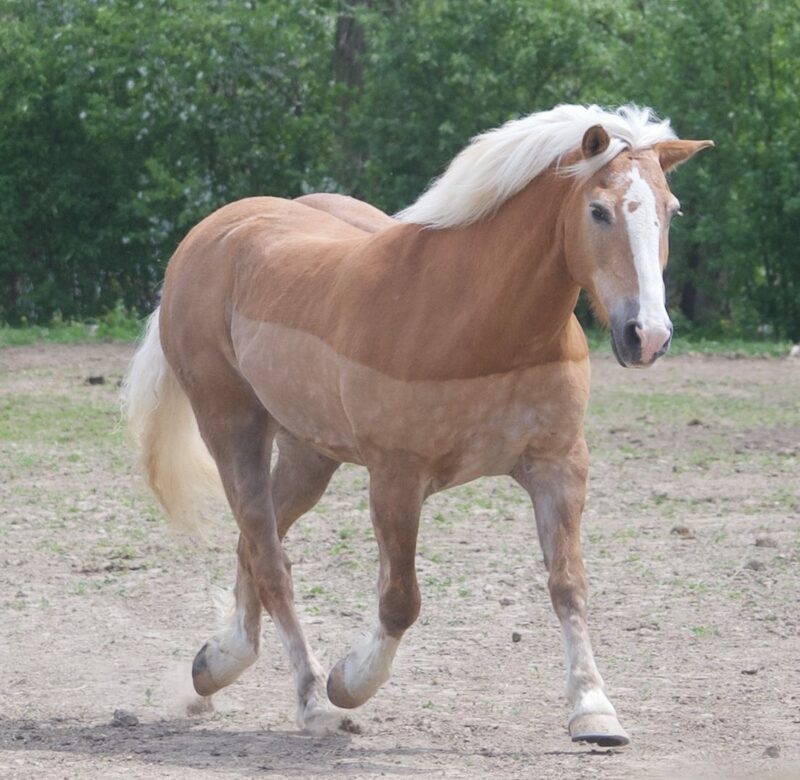 My registered name is Michel’s Checkmark DRH with The Haflinger Association. 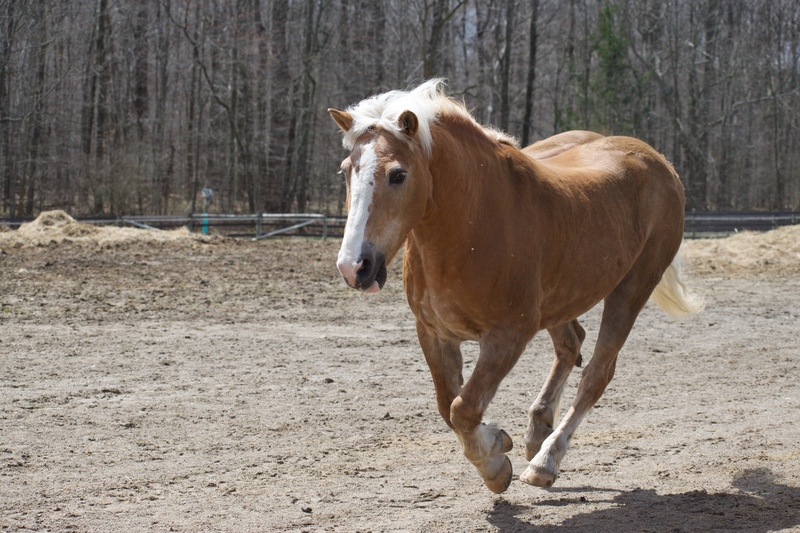 I was born in 1997 and am a 14 hand chestnut gelding. I have been in the driving program since 2002. Before my arrival I competed in driving shows. I did pretty well as a young fellow then. I do work in riding lessons as well but, like many driving horses I really like to drive the best. I am easy to lead, but quite curious about everything. You might notice that I like to stop at each stall I walk past and visit with my friends. 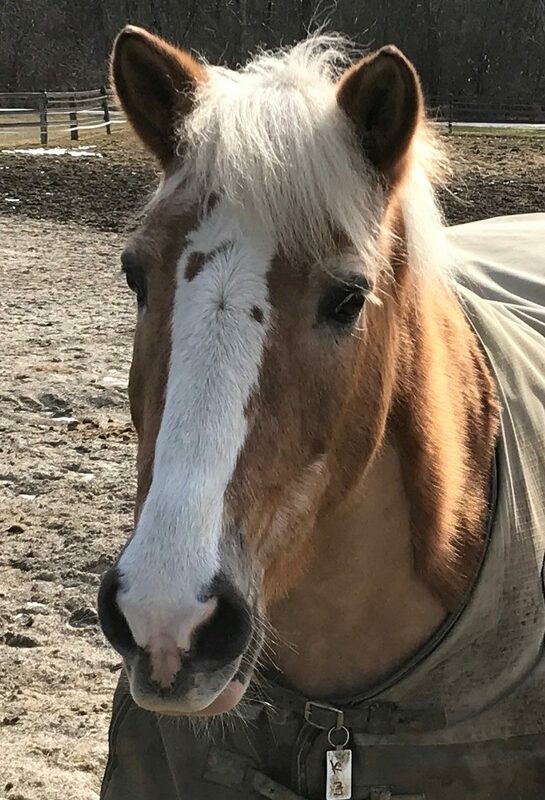 I also like to chew on everything, so watch your sleeves and make sure you put my halter on the lower part of my halter hook or I will pull that into my stall and play with it. I sure do love all the activities in the ring. It keeps me entertained. I may have extra energy in the winter, so please be patient with me. The more attention and work the happier I am. I am super for grooming and bathing. You will probably see me out in the cross ties a lot because I am so good.